Life insurance policies are one of the best ways to invest your money for the future well being of your family in the event of your demise. No one likes to think of the end, but it is inevitable. There are various types of insurance policies; each with their own benefits. The most common plans are term and universal. -Term policies are the most economic and easy to obtain. The insured has a reasonable rate for the agreed stated life of the policy. Usually between 20-40 years depending when you purchase it. At the end of the life of the policy if you do not ise it your coverage expires. 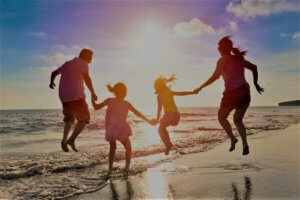 -Universal insurance offers the most flexible plans in life Insurance policies. The insured locks in a reasonable rate and possibly a savings account for the life of the policy which does not expire. Below are additional benefits a universal plan can offer. -Flexible rates when you need the most. – Payments in excess can accumulate and used to pay monthly premiums instead of using your income. -As long as you may maintain the minimum cost of the policy, the policy is guaranteed. -the ability to invest long term and accommodate to your life changes. Only can decide which plan you and your family will benefit the most from. Speak to an agent at our office to assist you with your election. Each policy is different and varies with carriers. The information above is strictly informational, please contact the agency for detailed plans and rates. Contact us today to discuss your life insurance needs.